Keep up-to-date on your battery's performance with a battery monitor. 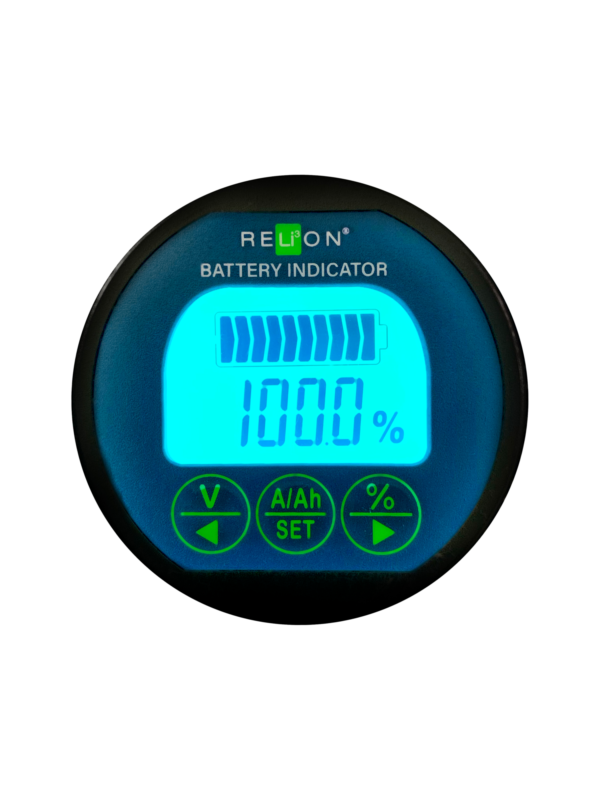 The RELiON Battery Indicator is a high-precision meter that captures instantaneous and integrated data in real-time. 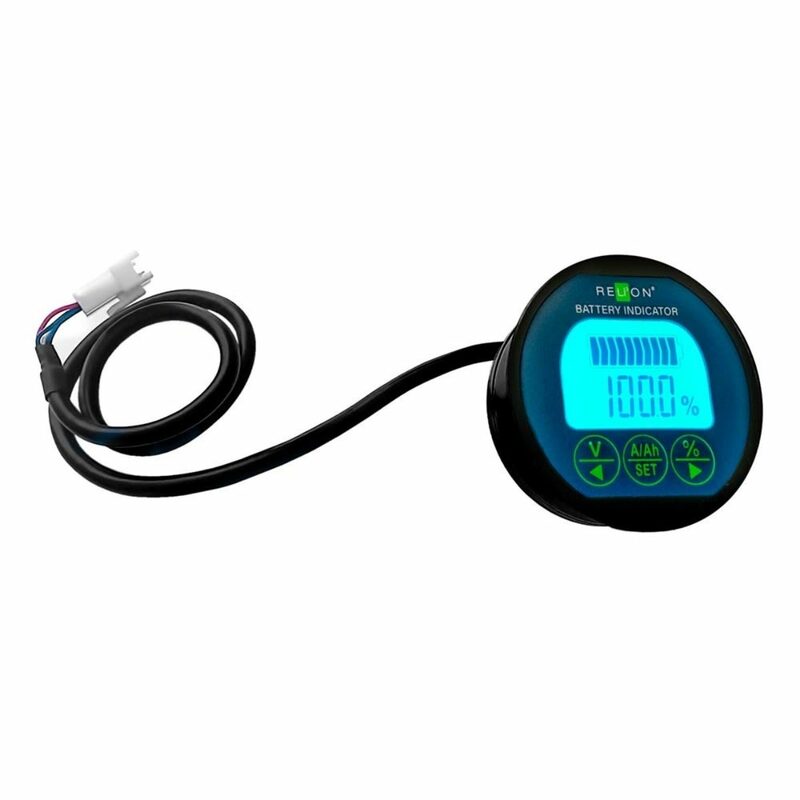 Through the use of a 500A current shunt, the battery indicator measures the discharge/recharge currents and calculates the Ampere-hours (Ah) flowing in and out of the battery. High-precision voltage measurements are taken and displayed in real-time through the use of a field-installed sense wire. RELiON’s Battery Indicator is well-suited for lithium iron phosphate, lithium-ion, lead-acid and nickel-metal hydride batteries. The battery indicator may be panel-mounted and held in-place by the bracket and butterfly nut and comes with a one-year limited warranty.